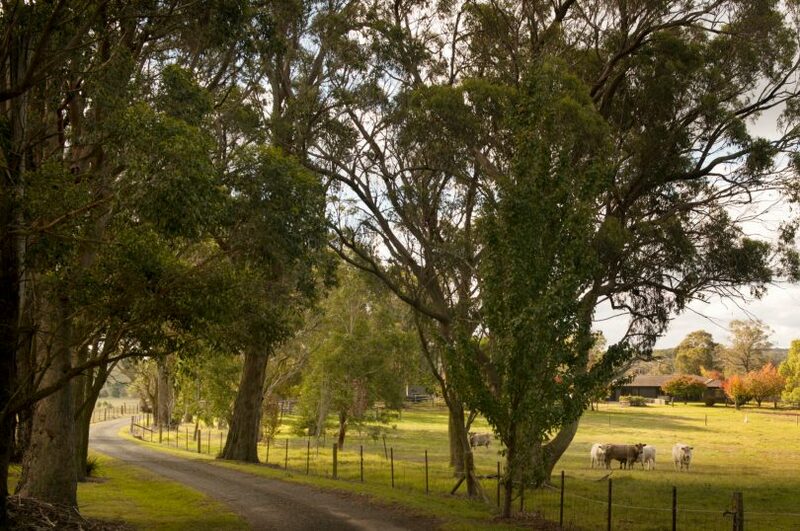 The Woodlands property offers a private rural lifestyle. The 12-acre leaseback is to the left of the boundary shown. Photos: One Agency Maday Property. 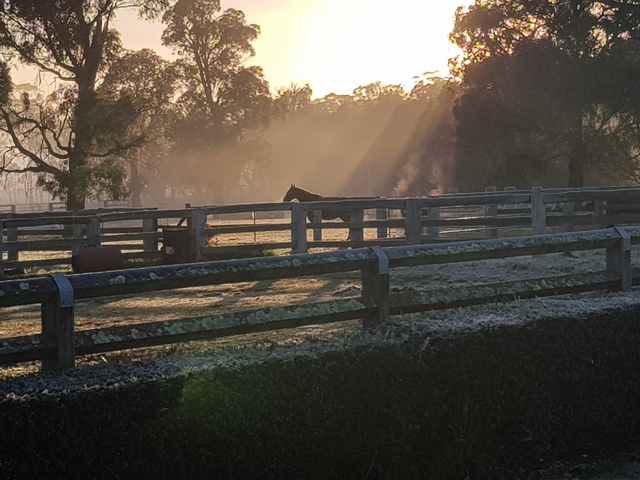 This one is for the horse lovers or those wanting a private rural lifestyle on a rich parcel of land in the desirable Southern Highlands only minutes from local centres. The 10 hectare (25 acre) property at 70 Woodlands Road, Woodlands is found down a picturesque, treed country lane and includes a three-bedroom home with northerly vistas; a separate building currently being used as a teenage retreat; chook, machinery and garden sheds; grazing paddocks; and loam rich fertile soils for all-year-round cultivation. The current owners also lease 12 acres from the Government for a nominal amount bringing the total size of the property to 37 acres. The price guide from One Agency Maday Property in Bowral is $1,795,000. 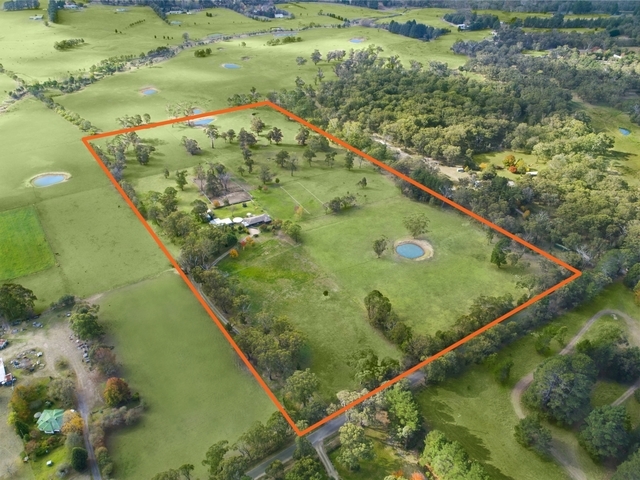 Agent Henry Capel says the owners are ‘massive’ horse lovers and have set up a paddock for showjumping and dressage, to go with another eight paddocks, horse working yard, holding pens and mounting yards, as well as an automated watering system for the troughs. 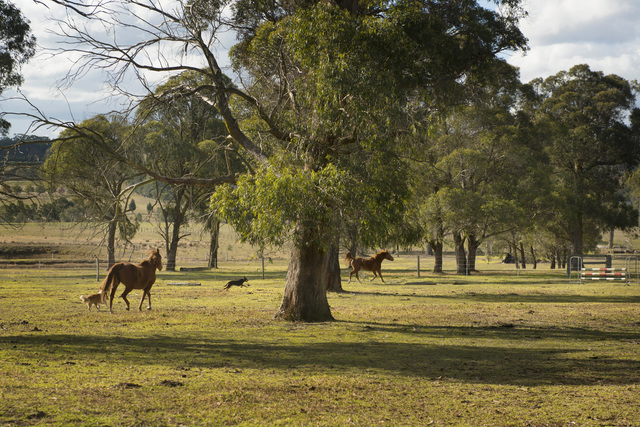 The paddocks are all fully fenced and water is sourced from two large dams, one of which has never run dry, and a bore. There are water tanks and a new pump. 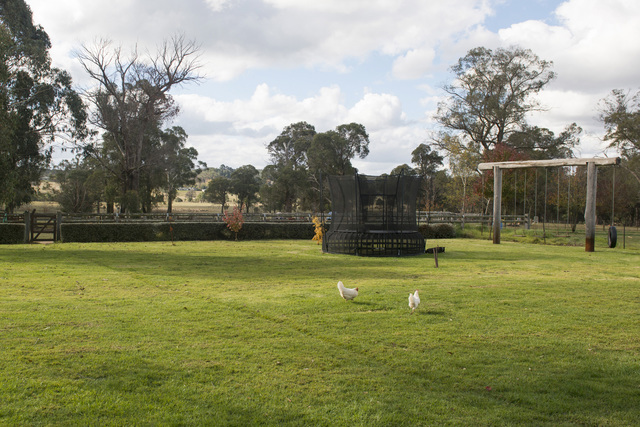 Mr Capel says it is the perfect set-up for livestock, particularly horses. 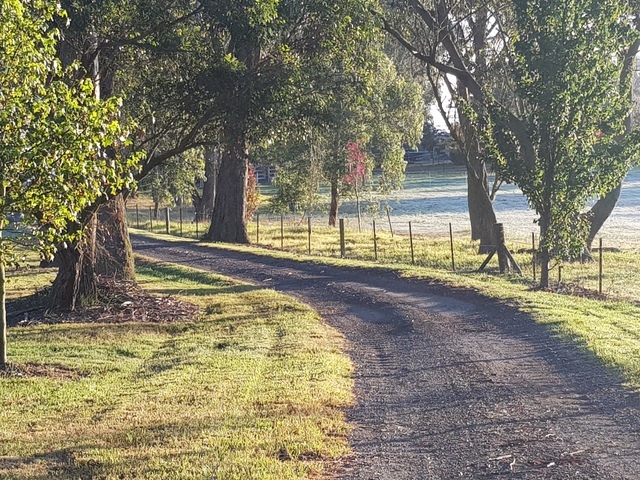 And while it offers rural seclusion, Bowral, Berrima and Mittagong – with shops, medical centres and schools – are only five minutes drive away. The school bus stops at the front gate. The homestead is well back from the road and sits at the high point of the rectangular block, from which you can see every corner of the property. With every room offering a view of the countryside, and sliding doors opening to the outside, the home is firmly a part of its rural environment. 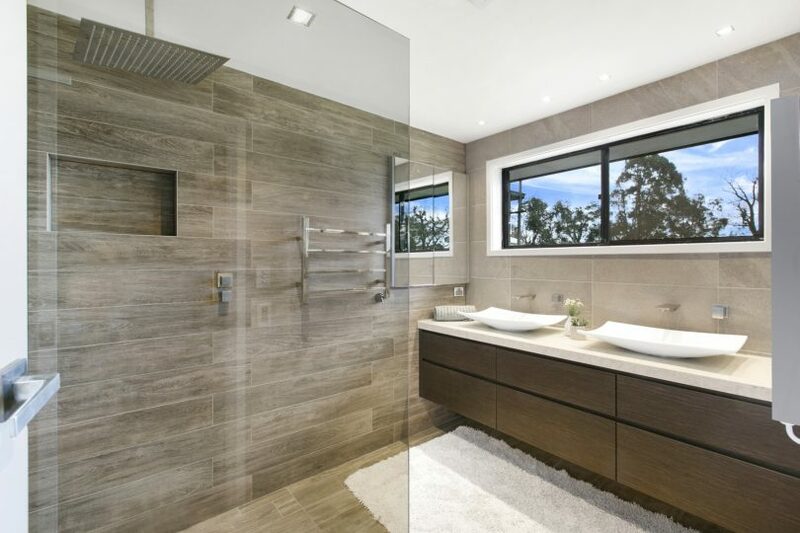 The gourmet kitchen and the bathroom are stunning says Mr Capel, with the kitchen boasting modern stainless steel appliances, dishwasher, an island bench, walk-in pantry and plenty of storage and cupboards; and the bathroom double vessel sinks and a glass walk-in shower. A slow combustion heater in the living area keeps the place snug in winter. 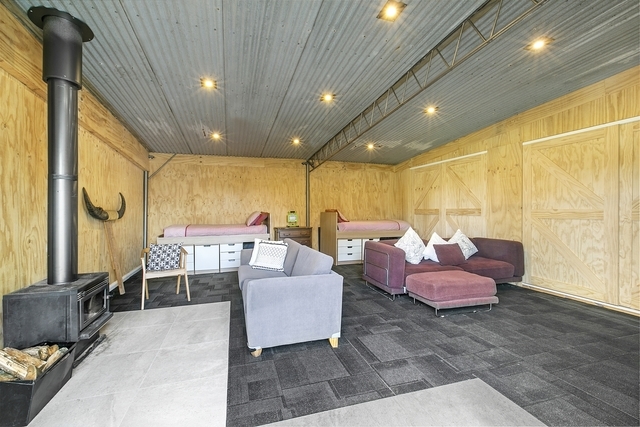 There is also a slow combustion heater in the teenage retreat, which could be adapted for other use such as a home office. It also provides an extra, large storage area. 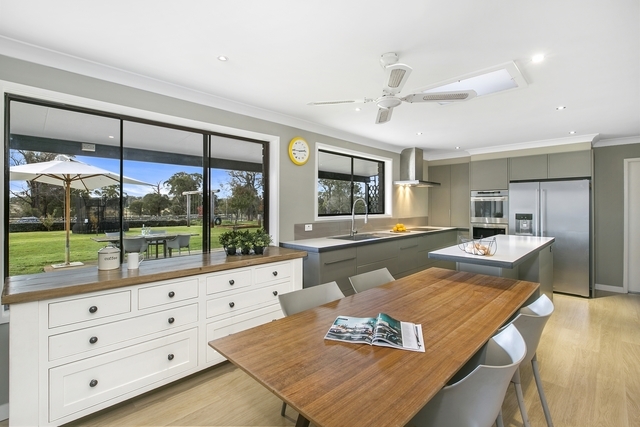 Mr Capel says there is plenty of room and potential to build a brand new home, renovate or extend. 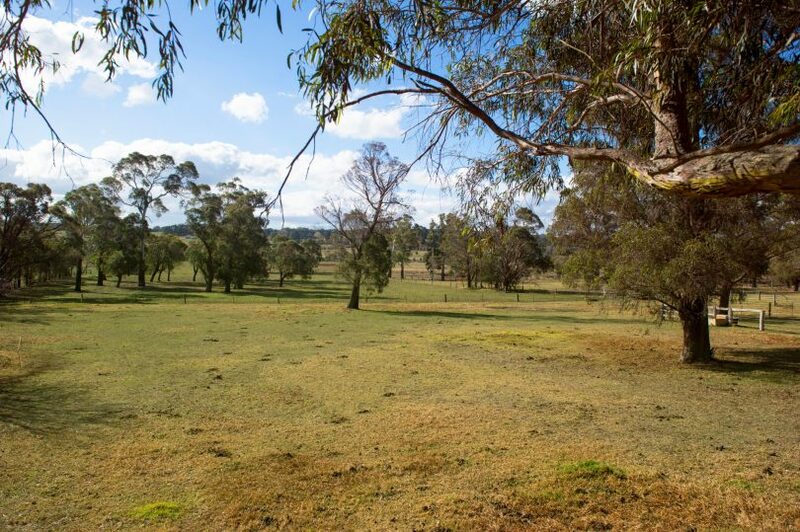 While perfect for horse owners, the property, which Mr Capel says is ‘pretty low maintenance’, would also suit retirees or hobby farmers wanting to run stock such as cattle. For more information contact Henry Capel on 0431 190 368 or go here.